CSKA Moscow have found a new striker. The 27-year-old Uruguayan striker Abel Hernandez has joined CSKA Moscow on a free transfer from Hull City on Thursday. It is a transfer that has been in the works for some time and seemed to be on the brink of collapse after it was reported on July 31, that the striker had failed his medical. “Two days later CSKA appeared to be willing to take the risk after all. “CSKA have signed Abel Hernandez apparently. It took the club more than a week to make the decision”, Petrosyan wrote on Twitter. “CSKA badly need quality after EIGHT players have left this summer, so they’re ready to gamble on signing an injury-prone player who’s believed to be the answer in attack”, Petrosyan concluded. The Russian journalist has a point. Hernandez has struggled with injuries for most of last season. Playing for Hull City Hernandez spent the majority of last season on the sidelines at the KCOM Stadium after rupturing his Achilles in just the third game of the season. The 27-year-old only returned seven months later to score five goals in seven games to help keep the Tigers in the Championship. Abel Hernandez played seven out of the last 12 games for Hull in the Championship last season. In those seven games, he scored five goals and two assists. He also added a hattrick against Burton Albion on matchday 2 before going down with a nasty Achilles tendon injury that made him miss most of the season. Going by his goal tally alone, therefore, the Uruguayan striker appears to be a good catch by CSKA. The Red Army club, in fact, as suggested by Petrosyan, needed to become active on the transfer market. Finishing the season in second place last season CSKA will be competing in the UEFA Champions League this year. But the club lost long-serving defenders Sergey Ignatshevich and the Berezutskii twins Vasili and Aleksei to retirement this summer. The club also sold Aleksandr Golovin to AS Monaco for €30 million and then Brazilian striker Vitinho to Flamengo for €10 million. On top of that Pontus Wernbloom returned to Sweden, long-serving midfielder Bibras Natcho left the club, and World Cup star Ahmed Musa was not retained following his short-term loan move from Leicester back to CSKA in January. Altogether it has been a significant blood-letting for the Red Army side. At the same time, it also has been a chance for head coach Viktor Goncharenko to rebuild the club in his image. CSKA have now signed five new players. The club brought in defenders Hördur Magnússon (Bristol City), Jaka Bijol (Rudar Velenje) and Rodrigo Becão (Bahia) to fill the gap left by the three veteran defenders retiring. In midfield, the talented Ilzat Akhmetov was brought in from Rubin Kazan to give the club more depth in the middle of the park. Abel Hernandez is now the much-needed addition up front. In fact, Hernandez will provide the club with something that has been missing at CSKA for some time – a complete attacker up front. Powerfully built Abel Hernandez stands at 186 cm and has a muscular frame that will allow him to power through defensive lines. His health is certainly a question mark but his goal ratio towards the end of the 2017/18 season suggests that he is on his way to reach full fitness and the English Championship is a much more demanding league physically than the Russian Premier League. 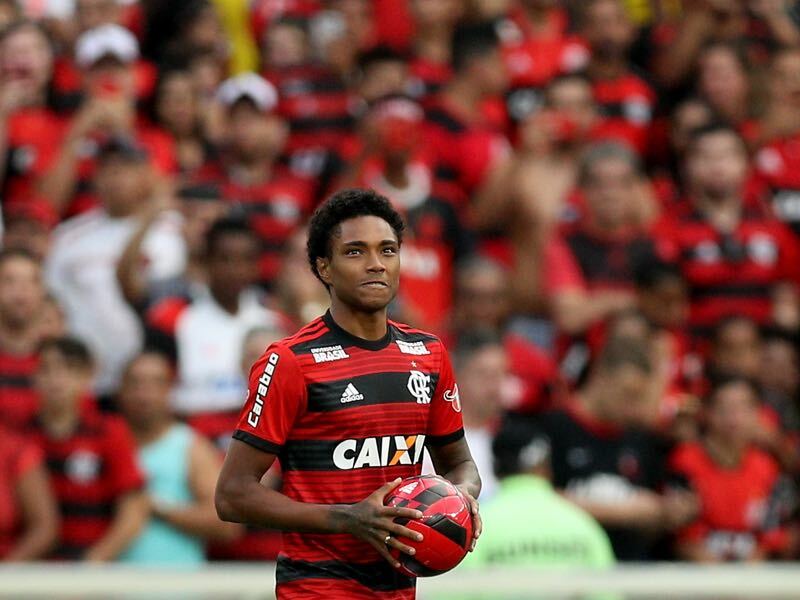 Hence, while CSKA are taking a risk by signing the 27-year-old the reward could be immense. 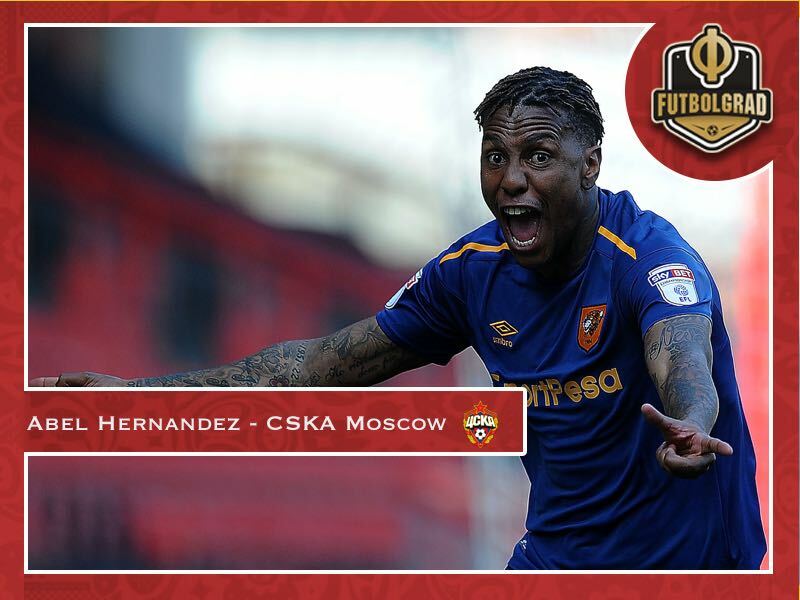 Abel Hernandez not only brings power and strength to CSKA’s frontline but also experience, which is currently lacking in this CSKA side. After all, Hernandez has played 29 games for Uruguay’s national team (11 goals) winning the Copa America with his country in 2011. Last season Viktor Goncharenko bloodied Timur Zhamaletdinov (21) and Fedor Chalov (20) up front in both the RPL and the UEFA Champions League. Both strikers showed their immense talent, but both forwards are not all out strikers and instead like to play off a more powerful presence. Abel Hernandez can be that presence and allow Goncharenko to play in his preferred 3-4-3 system with a true central striker and two attacking players playing right behind a true number nine. Hence, should Abel Hernandez remain healthy, he will be a perfect addition to a club that is currently in the middle of a small rebuild.